Now you can get new grease caps for the front axle flanges on your Scouts, pickups, or Travelalls! This is the cap that goes over the end of the axle stub on vehicles that have the bolt-on splined hub flanges on the front axle. This also was used on the rear axles that used tapered shafts and a large retaining nut. Usually the original caps are battered or gone completely. 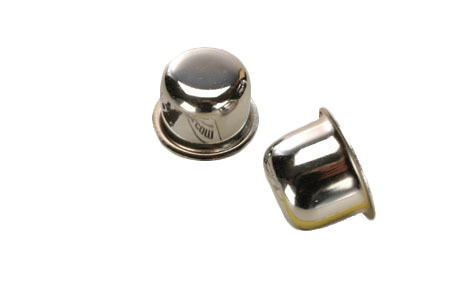 Now you can replace yours and complete your restoration with chromed caps that look like new! These come with the flange seal.